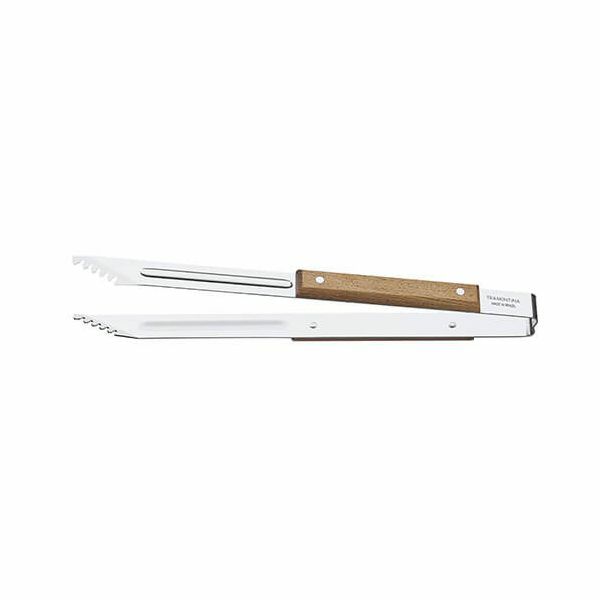 This pair of meat tongs are ideal for cooking meat on an open grill or barbecue. 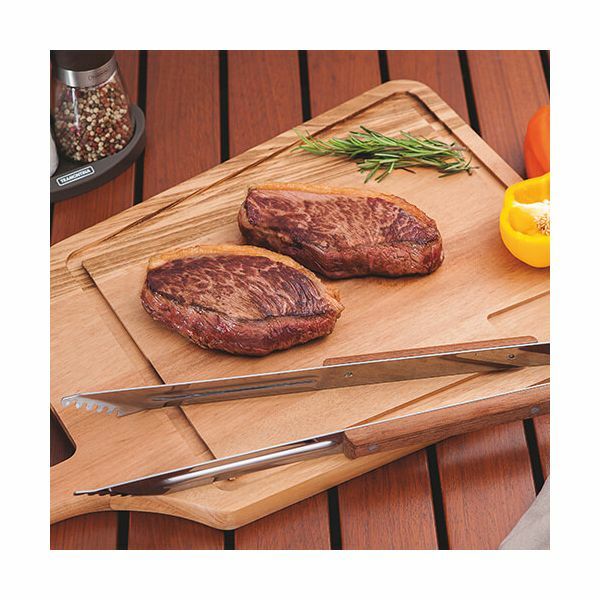 The wooden handles provide a good grip when picking up and turning meat. 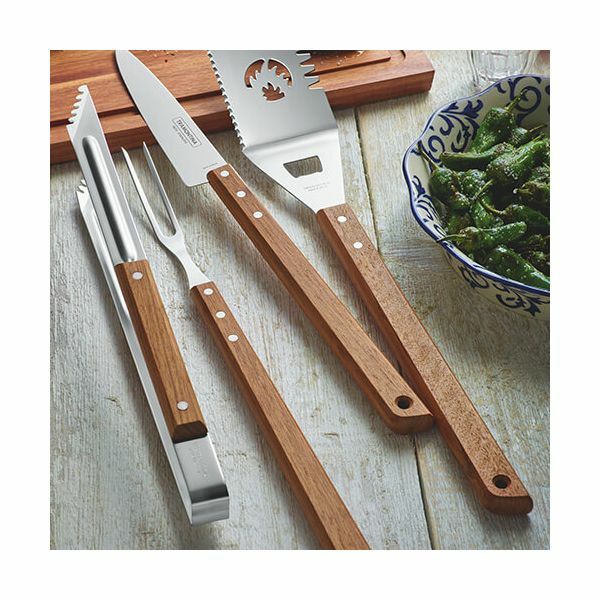 The stainless steel heads are shaped for gripping food and prevents slipping. The wooden handles are riveted for extra strength. Easy to use and dishwasher safe for easy cleaning. Made in Brasil. 5 Year guarantee.